Twenty-five years after it was published, Kristin’s long out-of-print Exporting Entertainment: American in the World Film Market 1907–1934 (British Film Institute, 1985) is available again. It tells the exciting, statistics-laden tale of how Hollywood rose to world dominance during World War I and never let go. There’s a complete pdf and new preface on this site. 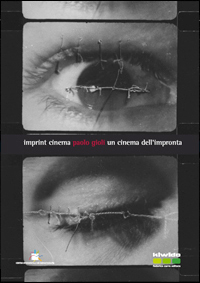 Experimental filmmaker Paolo Gioli is celebrated in a sumptuous bilingual catalogue, Paolo Gioli: Imprint Cinema/ Un Cinema dell’impronta, published by Centro Sperimentale. 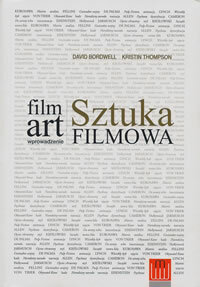 It offers essays by Sergio Toffetti, Dominique Paini, Elena Volpato, Keith Sanborn, and several other hands, including me, as well as a filmography accompanied by Gioli’s comments. 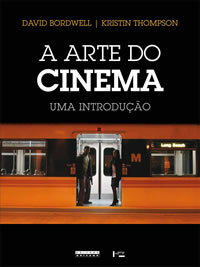 Along with the book comes a beautiful DVD including the masterpiece Anonimatografo. It’s available here. 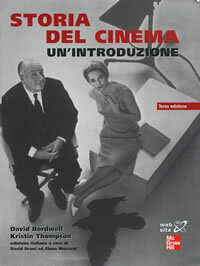 Film History: An Introduction has been issued in its third edition. 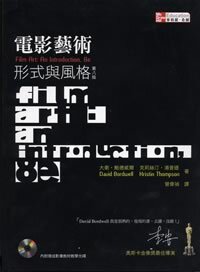 It is considerably enhanced with material on the cinema of the 2000s, including coverage of recent Chinese film, developments in American indies (including Mumblecore), trends toward globalization, and a wholly new chapter on Digital Cinema. For a longer discussion of its take on things, go to this blog entry. 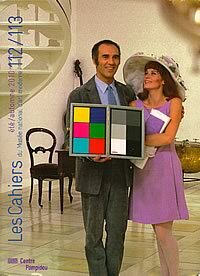 To free up space for discussing contemporary developments like digital filmmaking, we’ve had to purge the introductory chapter that was published in the first two editions. 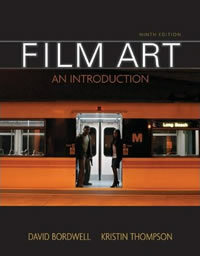 That chapter tried to introduce the aims of the book and to float some general considerations about doing research into film history. Some of those concerns were practical, such as the difference between primary and secondary sources of information. Other concerns were more theoretical, such as the distinction between methodological holism and methodological individualism. Nothing like this introduction has ever appeared in any film textbook that we know, and we are somewhat sad to drop it. Thanks to the Internets, however, nothing need be lost. 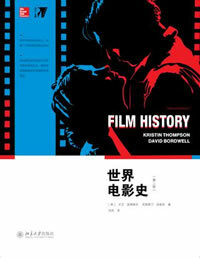 We are posting a revised version of the introduction, called “Doing Film History,” in the Essays wing of this website. 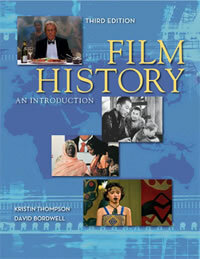 It’s also available at the McGraw-Hill website devoted to Film History. That site includes our bibliographies and our chapter-by-chapter Notes and Queries, supplementary information and ideas about film history. Even if you’re not reading the book, you may find some of our brief, bloggish items of interest. Just go to the Student Edition information and click on any chapter’s Notes and Queries. Also new is a big, very useful reference work edited by Paisley Livingson and Carl Plantinga. 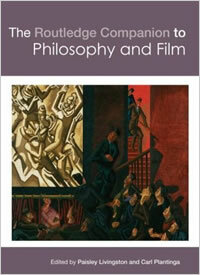 The Routledge Companion to Philosophy and Film is a vast treasure house of material on a great variety of topics, from Genre and Sound to Emotion, Empathy, and even Consciousness. Go here for a table of contents. I wrote two of the entries, on Eisenstein and on cognitive theory. I’m also honored to be the subject of one entry, written by the estimable Patrick Colm Hogan. 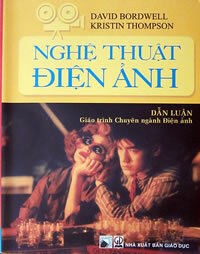 The book is very expensive and probably suitable only for library purchase. But if you buy the Kindle edition for $9.99, you’ll save $161.56! 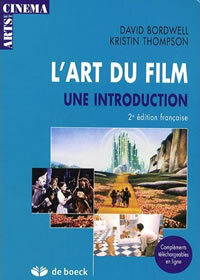 A second French edition of Film Art: An Introduction has been published by de Boeck of Brussels. Guangxi Normal University Press in Beijing is preparing to publish a simplified-Chinese translation of Narration in the Fiction Film. Papirus Editora, a Brazilian publisher who has issued books by Kristin and me in Portuguese, has just published a translation of Figures Traced in Light. A nice touch that English-language publishers have all but given up: The endnotes are now footnotes. 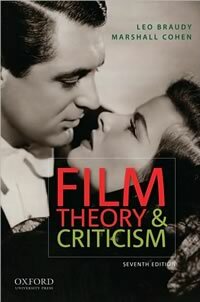 Oxford University Press has just published the seventh edition of Leo Braudy and Marshall Cohen’s Film Theory and Criticism. 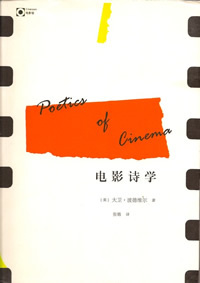 It includes two essays by me, “Cognition and Comprehension: Viewing and Forgetting in Mildred Pierce,” and “The Art Cinema as a Mode of Film Practice.” Both essays can also be found in Poetics of Cinema, but Poetics contains a much expanded version of the latter piece. Unhappily as well, the chart that was bungled in Poetics has also been presented inaccurately in the new anthology. I hope that it can be corrected in future printings. 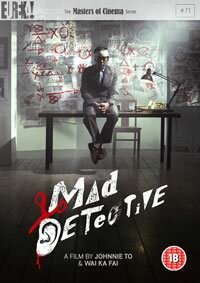 Johnnie To’s The Mad Detective, which I wrote about here and here on our blog, has just been released by the Eureka! Masters of Cinema label in the UK. This DVD edition (aso available in Blu-Ray) includes a critical essay by me about the film, eventually to appear online here. Peking University Press will be publishing a simplified-character Chinese edition of Making Meaning in 2010. Narration in the Fiction Film has just been acquired for a Greek translation by University Studio Press of Thessaloníki, for a projected 2010 publication. 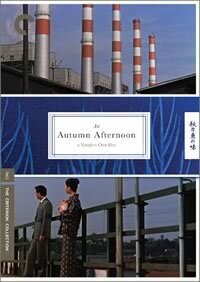 Several years ago I provided an audio commentary for the Criterion DVD release of Ozu’s An Autumn Afternoon. 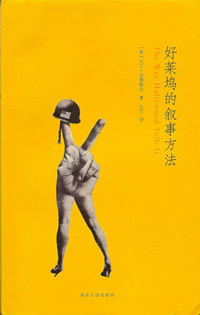 A mainland Chinese publisher, Jiangsu Literature and Art Publishing House, has scheduled a translation of On the History of Film Style for early 2009. 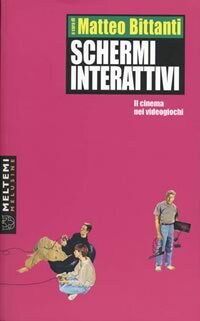 From blog to book: The entry, “New Media and Old Storytelling,” appears in Italian translation in Matteo Bittanti’s new anthology, Schermi Interacttivi, on the relation between film and videogrames, published by Meltimi Editore of Rome. 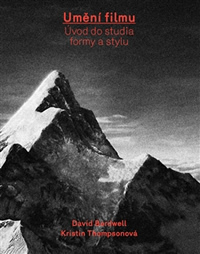 Film History: An Introduction has just been translated into Czech, in a beautiful hardbound edition with a string bookmark. As you can see, Chaplin would have approved of the cover, since he liked to watch the ladies. 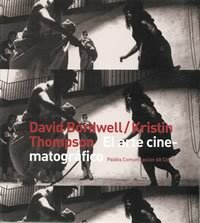 And here is the second edition of the Spanish-language version of Film Art (Barcelona: Paidós, 2006) which we also just received. 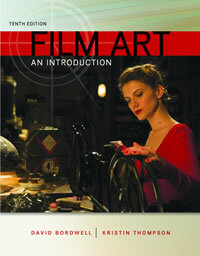 Figures Traced in Light was reviewed, with great generosity, by Jacques Aumont in Film Quarterly 60, 4 (Summer 2007), pp. 76-77. 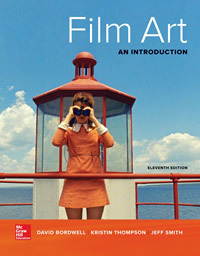 Not available online at filmquarterly.org, but articles can be found in ProQuest and other electronic publication databases. In 2006 I wrote an online essay, “Hearing Voices,” on M. Night Shyamalan’s Lady in the Water and Michael Bamberger’s book on its making, The Man Who Heard Voices. Mr. Bamberger asked to use my piece as a foreword to the paperback edition of the book; I provided a mostly new essay for the purpose. The paperback has now appeared, though in a gesture of unsportsmanlike behavior the publisher has changed the subtitle. The original read “How M. Night Shyamalan Risked His Career on a Fairy Tale”; to this the publisher added “and Lost.” I thought the film, which definitely had its problems, significantly better than most American critics did, so I take a little satisfaction in the fact that Lady in the Water appeared on Cahiers du cinéma’s list of the ten best films of 2006. 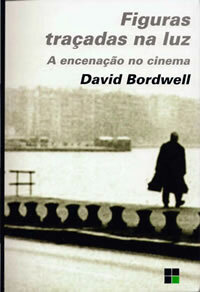 A Hungarian translation of Film History: An Introduction has been published. Thanks especially to András Kovacs for his support in making this happen! An ever-updated clearing house of news, criticism, and ideas about world cinema. An encyclopedic reference on films, filmmakers, books, festivals, and movie culture. Passionate cinephile Camper collects his essays and reviews; a must for those interested in classic and experimental cinema. Jim Emerson’s energetic and witty commentary on the current movie scene. Thoughtful weekly comments from one of our best critics. 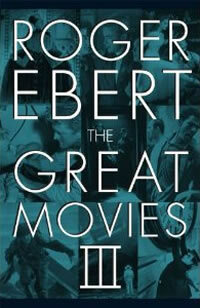 Ebert’s page, packed with information, opinion, and archival resources. See also: Awake In The Dark: The Best of Roger Ebert, a terrific collection of essays and other pieces; I’m proud to have contributed a foreword to this book. A wide-ranging discussion of professional media technology and creative activity. Reid Rosefelt’s blog on independent cinema is always worth reading. The premiere source for independent American cinema, and more. Intriguing and unpredictable links to many other movie sites. Humorous and pointed critiques of current humbug, both inside and outside Academe, with a great deal of commentary on psychoanalysis, Intelligent Design, and similar topics. A valuable website mounted by Yuri Tsivian. Thanks to a program created by Yuri’s son Gunars Civjans, you can develop a detailed profile of cutting rates and other variables in a film. Up-to-date coverage of visual effects, with interviews and articles on films and new technology. An interview with me in the Canadian journal Cinema Scope. 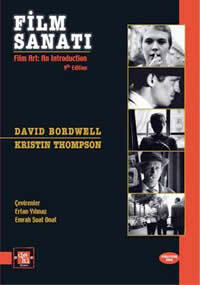 Essays on trends in contemporary Danish cinema. My essay for a Festschrift for Thomas Elsaesser, focused on staging in Hal Hartley’s Simple Men. In German originally, the English translation appears on the Danish film studies website 16:9. A four-part interview with me in the Danish online journal 16:9.